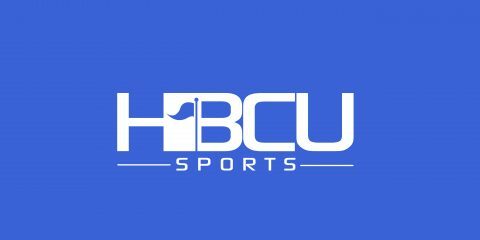 CHARLOTTE, NC- The Bowie State University Lady Bulldogs opened the 2016 CIAA Women’s Basketball Tournament with an upset on Tuesday, February 23rd after handing Fayetteville State University a 60-45 setback in the opening round of play in Time Warner Cable Arena. The Lady Bulldogs entered the CIAA Tournament as the No. 6 seed out of the CIAA Northern Division while the Lady Broncos headed into the opening round of play as the No. 3 seed from the South. “We just wanted to come in and do what we needed to do. I feel like a lot of teams have taken us for granted and we just want to keep the momentum going into the rest of the tournament,” noted Bowie State Interim Head Coach Shadae Swan. Kyah Proctor led all players in the contest with 23 points in the victory for Bowie State. Kiara Colston added 14 points in the win with Ashley Jennings hauling in a team-high eight rebounds (two offensive, six defensive). Doreen Richardson paced the Lady Broncos with 14 points while Vernessa Hinnant added 13 points in the setback. After exchanging baskets at the start of the first quarter, Hinnant hit a three-pointer for Fayetteville State to give the Lady Broncos a 5-2 edge with 8:05 on the clock. Bowie State fought back to knot the score 9-9 at the 6:20 mark using a free throw by Colston but Robinson promptly hit a jumper for the Lady Broncos to shift the momentum back in favor of Fayetteville State. With the Lady Broncos holding a 15-11 lead with just 3:04 remaining in the first quarter, Alauna Jackson drained a free throw and Lisa Jing hit a jumper to move Bowie State within striking distance (15-14). The Lady Broncos refused to surrender the advantage but headed into the second quarter with a narrow 17-16 edge. Hinnant opened the second quarter with a three-pointer for Fayetteville State and Richardson added two free throws to give the Lady Broncos a comfortable 22-16 lead with 7:20 on the clock. Down but not out, Bowie State chipped away at the deficit using two jumpers by Jackson and one by Ashley Jennings for a 6-0 run to knot the score 22-22 by the midway point of the second quarter. At the 4:41 mark, with the score tied 24-24, Colston’s layup followed by a three-pointer by Proctor allowed Lady Bulldogs to take their first lead of the contest (29-24). Proctor’s basket on Bowie State’s next possession left Fayetteville State trailing 31-24 by the 1:34 mark. The late run was all the Lady Bulldogs would need to take a 31-24 advantage heading into the locker room at halftime. Proctor’s jumper and Jourdan Stanhope’s basket in the third quarter gave Bowie State a 35-24 lead by the 6:42 mark in the third quarter. Fayetteville State cut the deficit to 37-31 at the 4:50 mark after Richardson’s layup but Proctor single-handedly orchestrated an 8-0 run for Bowie State to leave the Lady Broncos trailing 45-31 with 3:31 on the clock. Hinnant drained a jumper at the close of the third quarter for Fayetteville State but Bowie State took a commanding 45-33 leading heading into the final ten minutes of play. The Lady Bulldogs maintained a double-digit advantage until Richardson’s basket and two made free throws by Bria Robinson pulled Fayetteville State within seven points (50-33) with 4:13 left in the game. Two free throws and a jumper by Colston put Bowie State ahead 54-43 by the 3:11 mark and solidified the momentum for the Lady Bulldogs. Proctor connected on two free throws and Jennings added a layup to leave the Lady Broncos looking to recover from a 58-43 deficit with 1:19 on the clock. Bowie State continued to control the momentum and solidified the 60-45 victory using two free throws by Colston. Bowie State University advances to compete against Chowan University on Wednesday, February 24th at 10:00am in quarterfinal action. Fayetteville State University’s season ends with a 15-13 overall record.